The two biggest energy consumers in a warehouse are lighting and temperature control (in the form of heating, cooling or refrigeration). Reducing the costs of these two major contributors is the quickest way to make energy savings. Here we offer some tips on how to save yourself energy and money while also reducing your warehouse’s carbon footprint. Installing shading around the building can reduce cooling costs. Using battery powered forklifts can reduce load on your exhaust fans and ventilation systems. With some simple steps like these you can not only save yourself money, but can also make your warehouse more carbon neutral and reduce your carbon footprint. By adopting more efficient lighting systems most warehouses can save as much as 50% on their energy bill. A simple adjustment of lighting power density can save a lot of money. The Building Code of Australia stipulates the required illumination power density for each area of any building. Wholesale storage and display areas require 10 Watts per square metre, while currently staff areas require 3 W/m2 and lobby entrances 15 W/m2. By making sure your lights are adjusted to these requirements you can save yourself a lot of energy and money. Another feature of good lighting design is using fluorescent lighting. Many warehouses use sodium or metal halide designs but replacing them with fluorescent can lead to an energy saving of up to 80% and can also result in better lighting as shown by the picture below. 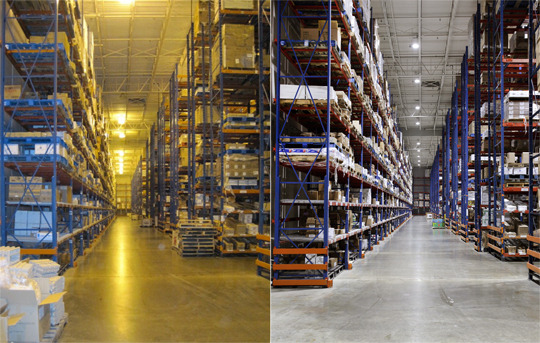 The final lighting consideration for all warehouses is the use of daylight. Glazed skylights on north and south facing walls can help provide the optimal diffused daylight needed for a well illuminated warehouse. Diffused daylight is a better light source than lighting because it doesn’t cast the same shadows that overhead lights do and it reaches more of the warehouse. Daylight in the workplace is also associated with higher worker production and morale. By matching a photo-control system to well designed skylights you can have auto adjusting lights to keep the warehouse illuminated as the daylight fades while saving money during the day. The largest cost next to lighting for any warehouse is the money spent on managing the temperature. Roof and wall insulation is important as a the first strategy for reducing energy outlays. If you need to add more insulation to either of these structures consider doing it during other building renovations or maintenance to reduce the cost of a one off job. 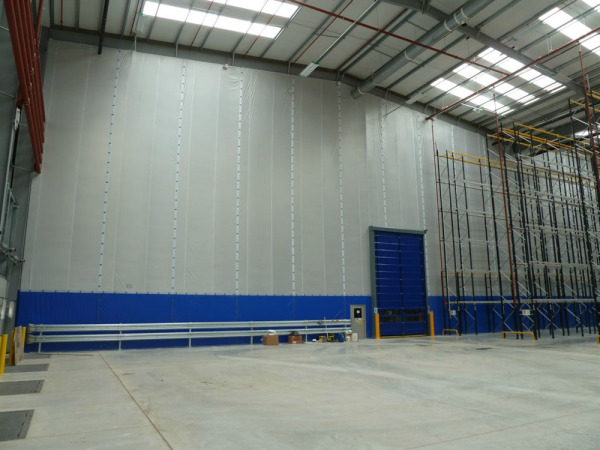 Partition walls are of particular importance because they can help segment your warehouse and offer you further command over your insulation and temperature control. A well-insulated partition wall is extremely important when varying temperatures are needed across the warehouse. The next largest concern for insulation is warehouse doors. Doors that are insulated are necessary for any warehouse trying to maintain a strict temperature and defray energy costs. As an open door provides the largest portal for energy loss in any warehouse it is important that your doors are high-speed and easily repaired. By having well insulated, fast moving doors you can save a lot of money from energy escape. 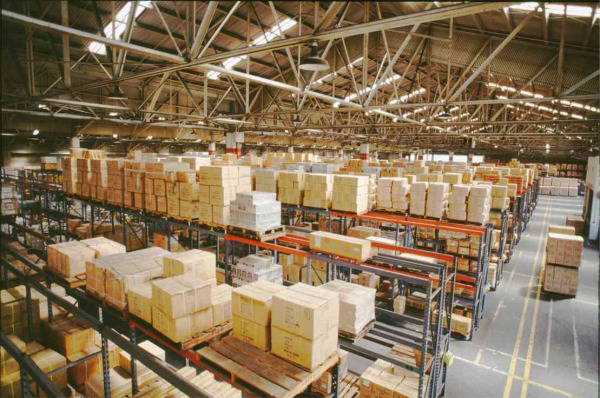 These quick tips aim to highlight some areas to consider changing in your warehouse and storage facilities. If you are interested in cold storage options please read our blog about the five key things to consider when operating an effective cold storage facility. Or if you would like to read about how you can reduce your energy emissions through insulation have a look at our door performance checklist by clicking on the button below.